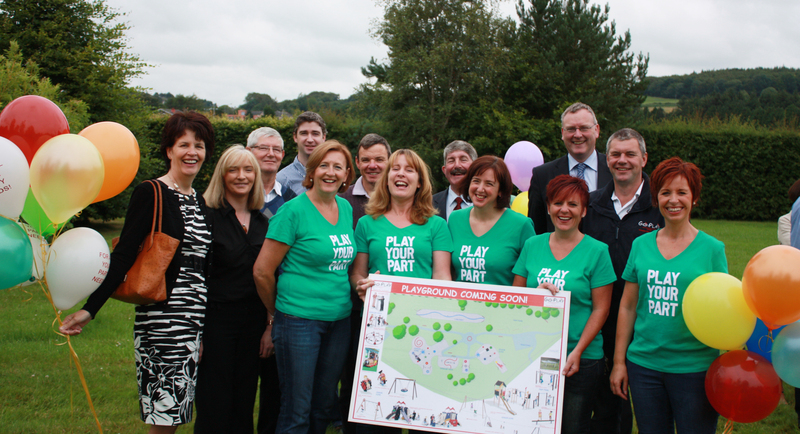 The residents of Blarney can look forward to a significant addition to their amenities as work has finally started on the new playground in the village, a project that has received significant funding from local development company Avondhu Blackwater Partnership. The playground was subject to unavoidable delays but the sod has at last been turned and the project which is expected to be completed by the end of the year has begun in earnest. Following extensive consultation and partnership work Avondhu Blackwater Partnership have committed over €100,000 to the overall cost of the project, a significant sum that made it possible. Speaking about the new playground Development Officer Niall Walshe commented “we are delighted to be able to support a major initiative such as this. It is a significant piece of local infrastructure and it also allows the Blarney Community Council to deliver on one of their core objectives. This project highlights what can happen when local development companies such as Avondhu Blackwater Partnership work with communities who seek to enhance their locality”. Avondhu Blackwater Partnership is the local development company for the Blarney, Mallow and Fermoy region. They provide grant funding and supports for community groups and businesses in this area. If you have an idea you would like to explore, or would like to see what grant funding your group may be eligible for contact 025 33411. Join us on Facebook and Twitter to keep up to date with news and events. Minister Hogan approves €196,000 approx. funding for a unique tourism and heritage attraction ‘The Farm’ Grenagh, Co Cork. ← Interested in Training as a Tour Guide?